Emily Bestler Books, 9781439186602, 388pp. In this haunting follow-up to F.J. Lennon's Soul Trapper, legendary ghost-hunter Kane Pryce confronts a dark world of supernatural activity and paranormal phenomena while sending spirits back to the afterlife--and must fight for his own life before he, too, becomes a lost soul. Twenty-eight-year-old Kane Pryce used to have one of the strangest jobs in the world--capturing and exorcising spirits from people's lives. After the stress of the job finally got to him, he left ghost hunting and has been busy reinventing himself as the lead guitarist of a band on the brink of success. 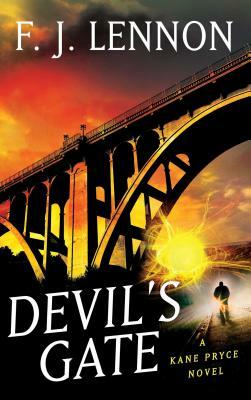 But it isn't long before Kane is asked to investigate a case involving Pasadena's infamous Suicide Bridge, and gets sucked back into the supernatural realm. A mysterious force is luring hopeless victims to their death off the bridge, and Kane must discover what power is keeping the lost souls trapped there. As Kane uncovers the sinister, deadly secrets of the bridge, he spirals into the dangerous, shadowy world of the occult--the seedy underground world of the Hollywood music scene, tumultuous romances, and maddening journeys into the shattered minds of suicide victims. With the Soul Trap as his only defense, Kane must combat evil supernatural forces on a spiritual battlefield, a place between life and death, where the fate of his own soul hangs in the balance. F.J. Lennon is a writer and interactive game producer and designer. Over the course of his career, he has been involved in the development of forty-eight original computer games and educational software titles. He lives in Los Angeles, California, with his wife and daughter.